Outdoor signs can be the best way to get your business image out into the market. Don't be fooled into thinking all custom outdoor signs have to be expensive. Outdoor signage is great for you and your endeavores because they actually are affordable. 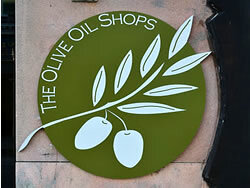 For a very small investment you can create an outdoor sign that's great for adverstising and promoting your business. Exterior signs are useful for multiple tasks, explaining your services, locations, hours and contact information. Outdoor signage helps new and established clients select you for their service provider, all with very little cost to you. Compete with larger companies for little investment and elevate your business to new heights with outdoor signs. 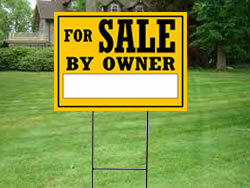 You can help your business grow with a big advertising tool, outdoor signage. It's an effective and powerful marketing tool used by large companies and probably even your competitors, now you too can have the advantage. It's an affordable way to compete and you will see the return in increased business and revenue. Let us help you select the right outdoor sign for you and your business. 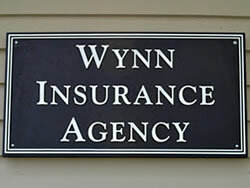 Aluminum Signs to this day are still one of the most popular choices when it comes to outdoor signage. Aluminum, with all its custom options, is an easy way to get exactly the outdoor sign you are after. 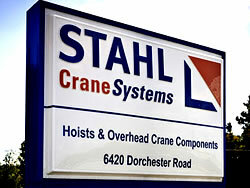 Regardless if you need a lightweight or a heavier more durable outdoor sign, aluminum is sure to accomodate. Alumalite Signs have unmatched sign strength. 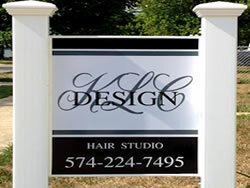 Due to its construction alumalite is one of our most sturdy sign materials when it comes to exterior signs. Its rigid and durable but remains lightweight. Add the option of trim cap to your custom outdoor sign for a more polished business image. 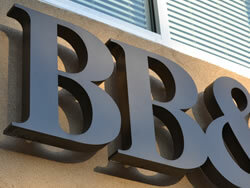 Dibond Signs are a common selection for outdoor signage because of its versatility. 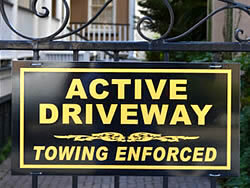 Available in any custom shape, size or style, dibond signs can be seen just about everywhere outdoor signs are present. It's plastic core is sandwiched between two this sheets of aluminum making it extremely durable in exterior locations. ARMOUR-Wood Signs with its solid wood construction, flanked by aluminum is the perfect choice for when you require a strong, rigid outdoor sign that will last for many years. A custom outdoor sign made of ARMOUR-Wood is guaranteed to be around just as long as your business. Available in traditional shapes (rectangle, square and vertical rectangle) this material is a staple business sign option. Outdoor Banners are lightweight and easy to install. 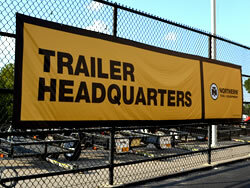 Banners are a great selection for outdoor signage, because they are easy to change out. If your business offers different promotions throughout the year, then a banner is the perfect outdoor sign for you. With a variety of finshing options and a large selection of mounting accessories, banners are extrememly customizable. Coroplast Signs commonly known as "plastic cardboard" are great temporary outdoor signage. Lightweight coroplast is easy to install, but remains rigid for repeated use if needed. Mount your coroplast outdoor sign on a lightweight wire stake or insert it into a sign frame for a more finished sign presentation. We offer coroplast outdoor signs in a few custom shapes, but are glad to help you get the shape and size that is right for your needs. Sandblasted Redwood Signs offer your business a more rustic look, when it comes to outdoor signs. The beauty of these signs are in the details. 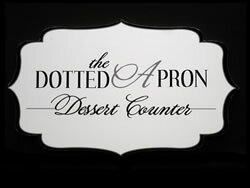 Raised text, images and logos resemble a "carved" wood sign. Made of strong and long lasting redwood, its an outdoor sign grown to last a long time outdoors. With a variety of thicknesses available and the added feature of double sided redwood signs, it's a great investment that will pay for its self time and time again. 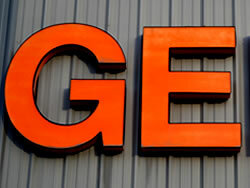 HDU Signs made of high density urethane are the "green" choice when it comes to exterior signage. With its dimensional quality it is a high end sign at a affordable price. Because of the chemical make up of HDU outdoor signs, they are waterproof, lightweight and available in multiple thicknesses. 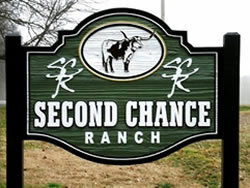 HDU can be produced to resemble redwood signs or create a custom look all your own for your outdoor sign. 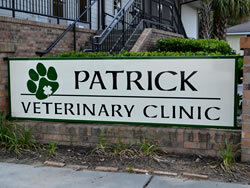 Replacement Sign Faces are an easy way to give your existing outdoor sign a facelift. With just the expense of replacing the sign face and not the whole outdoor sign structure, you can save money, while reinventing your business image. You can change with the times and the needs of your clients all without investing a large amount of money. We offer an assortment of options for replacement sign faces, so finding the proper fit for your custom outdoor sign will take no time. 3D Letters really can add dimension to your business and your outdoor signage. 3D letters help create an eye-popping outdoor sign. We have in our catalog, a limitless selection of sizes, fonts, colors and finishes to choose from. 3D letters are an easy do-it-yourself installation and can change your business image instantly. Contact us for more information on 3D letters at 1-800-899-6272, we will be happy to help you find 3D letters for your business. Channel Letters add the same benefits of 3D letters to your outdoor sign with the addition of illumination. Channel letters are a great outdoor sign due to their construction. Since these items are electrical you will need to have them professionally installed. While this is an added expense it will help promote your business after hours and long into the night. 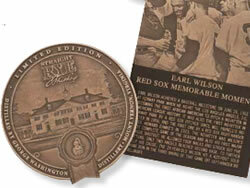 Cast Plaques are an elegant and traditional way to commemorate a special individual, event, landmark or occassion. With a variety of options, customizing the perfect cast plaque for your need is quick and easy. Our custom cast plaques are available in a variety of sizes, styles, and shapes. You can even select the ideal mounting option for your cast plaque to ensure it is the perfect display for your location. With the one of the largest selections available for outdoor signs, you are sure to find the correct sign, not only for your business needs, but for your location. 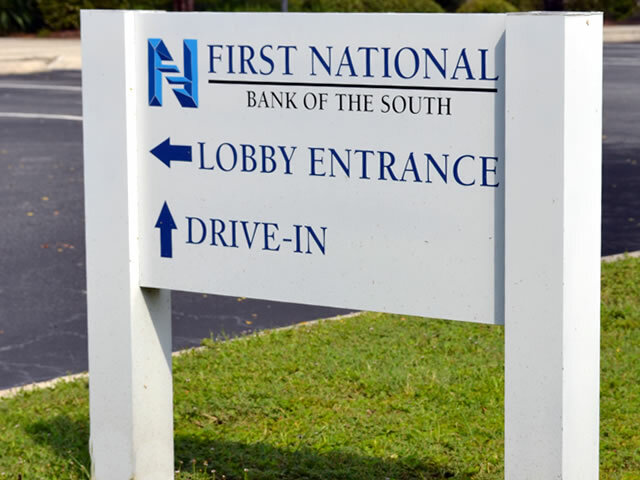 Custom outdoor signs need not be an expensive endeavor, we can help you find the exterior sign that fits your budget as well as your professional needs. Are Outdoor Signs Right for you?